Tokyo (AFP) – A Japanese court Wednesday fined a tattoo artist for tattooing customers without a medical licence, the first case of its kind in a country where body art is associated with gangsters. Police raided the studio of 29-year-old Taiki Masuda in 2015, charging him with violating a law requiring anyone who carries out a medical procedure to have a formal qualification. He received a court order to pay fines but requested a trial instead, hoping to prove that tattooing was art and not a medical practice, according to the Asahi Shimbun daily. At his trial, presiding judge Takaaki Nagase said it was “reasonable” to require tattooists to hold a medical licence to prevent health risks, local media reported. “The tattoo artist is sentenced to a 150,000-yen ($1,300) fine” a spokeswoman for the Osaka district court in western Japan told AFP without giving further details. The judge also said that “bacteria and viruses are likely to penetrate (the body) and there is a risk of causing skin problems”, according to the Nikkei business daily. 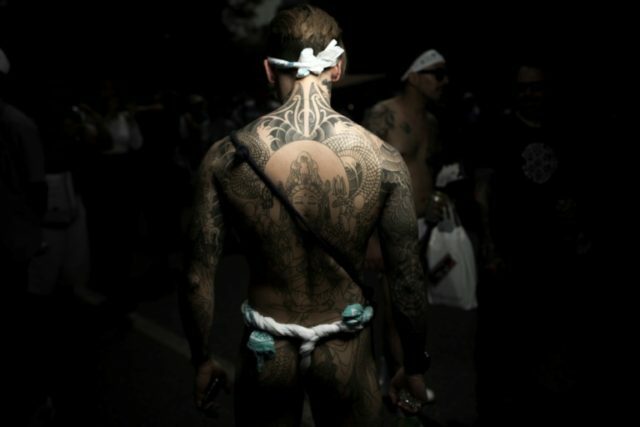 In Japan, tattoos are associated with yakuza organised crime syndicates. Many public institutions, such as hot springs or swimming pools, bar people who have them as a way of keeping gangsters out. It is however unclear how many tattooists in Japan hold a medical qualification. According to a 2014 survey conducted by the Kanto Federations of Bar Associations, nearly nine out of 10 people aged between 20 and 69 said they found tattoos scary. But attitudes appeared to be changing, with about 40 percent of those in their 20s associating tattoos with art and fashion.